On the heels of the launch of Playstation’s hotly-anticipated virtual-reality headset, PS4 VR, along with Oculus and Facebook’s foray into the socially-connected virtual ether, we’re on the cusp of a revolution that will ultimately change the way we live, work and play. It will affect industries far and wide, ranging from healthcare and education, all the way to entertainment and commerce. Fully-immersive environments and surreal experiences are just some of the ways that virtual reality is going to change the world. So far, our experience with the internet has been two-dimensional at best. Our tactile manipulation of hand-held screens has been the closest we’ve come to interacting with the internet. But all of that is about to change. Virtual reality is going to upend the world and cause a monumental shift in the way we surf, shop and experience the web, thanks to the pure power and imagination of human thought. It will dramatically transform the way we learn, live, communicate and connect with others around the world. Clearly, virtual reality has been around for some time, but it’s the mainstream permeation and saturation of this technology that’s going to change the world on a number of different levels. Over time, it will transform every aspect of life. In fact, decades from now, we’ll look back and wonder how we ever lived without technologies like virtual reality and augmented reality, which are set to dominate the technological landscape in the coming years. However, even at the outset and birth of this new technological revolution, there are a number of ways that virtual reality will change the world. With mass adoption through platforms like Oculus, HTC Vive, Cardboard and Playstation’s VR, consumers and businesses alike have already begun flocking to virtual-and-augmented-reality platforms as they come online. With projected revenues topping $120 billion by 2020 for both VR and AR platforms, these platforms are set to create a dramatic upheaval in every industry on earth, w. Clearly, our way of life, and the way we conduct ourselves, is about to change dramatically. And while there might be dozens of ways that virtual reality will change the world, here are 5 core ways that things are going to change. Much of the real estate industry and remodeling industry are founded on the need for conceptualization. Clunky software and showroom or in-home tours are used as selling tools to help convince people to buy or remodel something. But, imagine a world where the ease of conceptualization is increased thanks to the the visual power and lifelike realities presented by VR headsets. Imagine being able to tour a property or redesign a room and walk around it completely in VR. Imagine being able to pull in a sofa into one section of a room or throw a fireplace in a corner and actually visualize it without ever having to knock down or rip apart a wall. 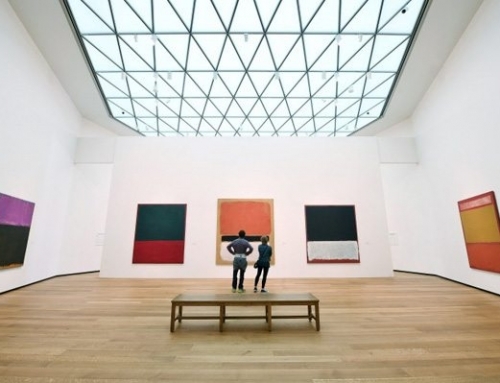 While there are some people that are great at visualizing spaces, not everyone has the ability to do so. VR is set to change the world by creating a dramatic shift in our ability to visualize these spaces. 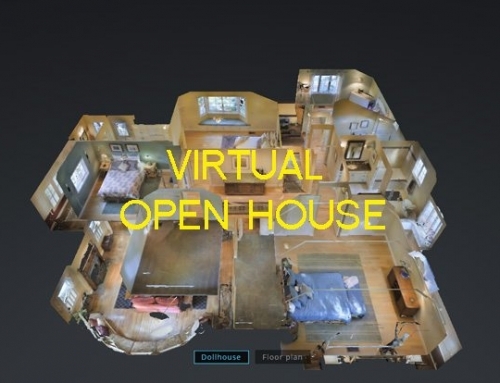 Companies that are leading the charge with this are major players in the real estate three-dimension modeling industry such as Matterport, who recently announced that they converted their entire database consisting of over 250,000 image maps into VR, with the ability to walk around and tour those spaces with leading VR headsets in the coming months. Check out their 3D-rendering of Star Trek’s main deck as an example, which is available in virtual reality. Other companies, such as RoOomy, allow us to easily conceptualize unfurnished spaces with lifelike, realistic furnishings, allowing realtors to not only tailor spaces to the tastes of each unique client, but also allowing home-improvement clients to conceptualize any space with any potential improvements or added decor through an easy-to-use interface, which can also be subsequently toured in virtual reality. roOomy’s technology can instantly convert any two-dimensional room into an interactive and photorealistic space that will overcome the visualization hurdle that’s proven as highly challenging during both the home shopping and home-buying experiences, while also increasing the likelihood of blind bidding, or the purchasing of spaces without ever having physically visited them. Conceptualization also aids in the architectural and construction industry. Just imagine the applications of having a building or home designed for you and physically being able to walk and tour that space at every stage of the construction or before you even break ground. Another way that virtual reality is set to change the world is through experiential marketing in the digital realm. While experiential marketing might apply to more real-world applications, in the virtual world, we can experience realistic situations in VR digital realms. For example, if you’re looking to tour a college campus such as Harvard University, you’ll be able to do just that, walking amidst a fray of students, touring classrooms and halls, checking out dorms and even possibly experiencing a lecture or two. 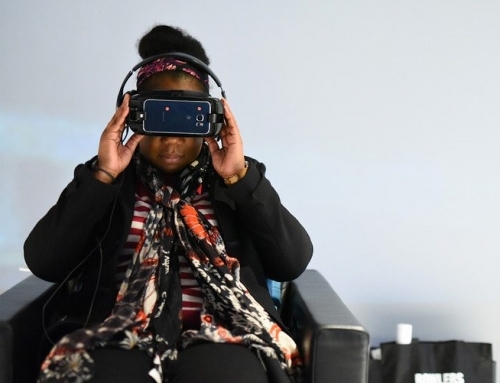 Maybe you’re promoting a concert or another event, and you want to place visitors right there in the midst of that experience in a virtual reality setting. The potential applications this has for commerce are wide-ranging, and companies like YouVisit are bringing experiential marketing in the VR space to average everyday consumers and businesses by offering an easy-to-use platform for building out any experience that also includes a guided speaking tour by a person that can give a sales pitch over and over again. Not only is this useful for businesses, but for consumers alike. Imagine not having to leave the comfort of your home and being able to make a decision based on near-lifelike VR experiences of any potential situation. Not only is this great for hotels and travel, but far more so for any other experiential marketing. The U.S. military is already using VR to train its soldiers for certain applications. For example, hand-to-hand combat is an important part of certain fighting disciplines and training. Imagine using VR to fight in an almost-realistic situation, while never actually getting bruised or hurt yourself. The military can also use this in training for sharpshooting, parachuting, diving, and many other situations. It can also be used as a virtual classroom for surgical students, without ever having to cut into a cadaver itself. It can be used to learn the intricacies of machines such as automobiles, by allowing an instantaneous virtual deconstruction to see just how all the parts come together and their varying significances. Imagine also being able to learn just about anything, such as speaking with foreigners or being offered immersive language-learning opportunities without ever leaving your home. VR can help us further understand highly-complex fields such as rocket science, electrical engineering, astrophysics and artificial intelligence through virtual hands-on experiences that will help to progress our skills and deepen our understanding far quicker than standard two-dimension teaching practices. Imagine flying a drone through a VR headset. Or, upon the induction of self-flying airplanes, using VR to port into a plane that’s experiencing some form of trouble. How about using VR to control an unmanned spaceship on a very dangerous mission to Mars or another planet? There are so many remote-control-application possibilities with VR that it’s nearly limitless. For example, the DJI Mavic already has capabilities for VR control, but this most certainly opens the door for countless other types of drones, whatever form they take on, allowing users to remotely control them. This is also great for applications that might be dangerous, such as when dealing with radioactive materials, detonating or inspecting explosive devices and so on. The VR headset provides a far more lucid experience that transcends the simple applications of using a video feed and remote controller. That lucid experience allows you to behave and respond to stimuli occurring in the environment as if you were present, without actually having to put yourself directly into the situation or in harm’s way. Another way that VR will surely change the world is through the replication and mapping of foreign environments. Imagine being able to walk the streets of New York City with not a soul in sight, or explore Central Park as it once was hundreds of years ago before the erection of towering skyscrapers. Imagine walking the terrain in some restricted or hostile environment and learning its ins and outs, knowing where to crawl or hide. However, the presentation of foreign environments, whether replicated or dreamed up, also possesses a boom for the entertainment industry. Imagine driving a car on the streets of Liberty City in a Grand Theft Auto VR rendition or soaring on the back of a monstrous fire-breathing dragon on a Game of Thrones adventure. Clearly, the applications are wide and nearly limitless on what VR can do when it comes to replicating real environments or helping to concoct ones solely based on the human imagination. Of course, this is only the beginning. There are far more implications that come with our foray in the VR space.